Southern Star Xanadu Productions. 1993. Director: Michael Carson. Music: John Clifford White. CD (ST) Phonogram. 522079-2. 1994. 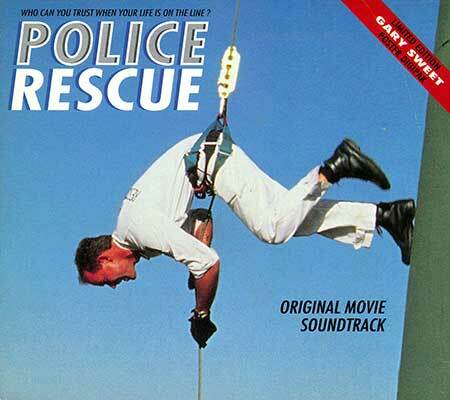 1 (Re-issued 1995 as CD 4795862). Limited edition Gary Sweet poster digipak. All compositions by John Clifford White except “Most People I Know Think That I’m Crazy” by Billy Thorpe. All compositions published by Screensong/Polygram Music/Southern Star Music, except “Most People I Know Think That I’m Crazy” by Mushroom Music. Produced by John Clifford White. Co-Produced by Chris Pettifer. Engineered by Scott Heming. 2nd Engineer (album) Greg O’Shey. 2nd Engineer (film soundtrack) Andrew Baldwyn. Arranged by John Clifford White and Chris Pettifer. Orchestrations - Gregory Flood. Backing Vocals on “Most People I Know Think That I’m Crazy” - Steve Wade. Guitars and Bass - Chris Pettifer. Drums - Paul Monger. Piano - Chris Goodall. Recorded at Platinum Studios, Melbourne and at Metropolis Studios, Melbourne. Mixed and Mastered at Metropolis Studios, Melbourne. Fanfare (The New Matadors). (1:10). Theme (Set Me Free). (2:00). How Can You Tell? (0:39). I Was In Love. (0:51). Psycho At The Daycare. (4:09). Most People I Know Think That I’m Crazy. (3:41). v: Gary Sweet. CD(s) (ST) ABC. 858 384-2. 1993. 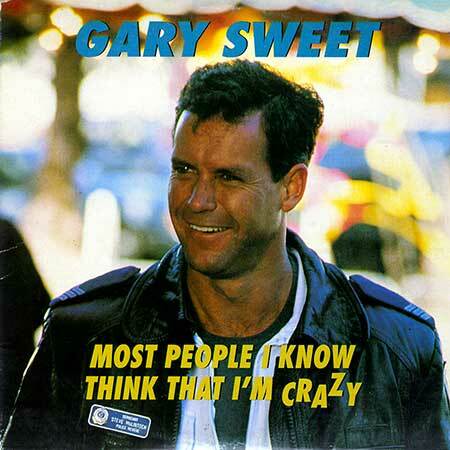 “GARY SWEET”. Produced by John Clifford White. Co-Produced by Chris Pettifer. Engineered by Scott Heming. 2nd Engineer: Greg O’Shey. Arranged by John Clifford White and Chris Pettifer. Orchestrations - Gregory Flood. Backing Vocals: Steve Wade. Guitars and Bass - Chris Pettifer. Drums - Paul Monger. Piano - Chris Goodall. Recorded and mixed at Metropolis Studios, Melbourne. Tk1 “Most People I Know Think That I’m Crazy”. (3:44). (Billy Thorpe). (Mushroom Music). v: Gary Sweet.